What happened to surface temperature with sunspot activity in the past 130 years? Based on composite analysis using categories of solar inactivity and activity, the responses of surface temperature to different categorized solar activity and a plausible mechanism have been discussed. The results show the increasing solar sunspot activity during solar cycles 13 to 24 (1880–2010) and it seemed to make a positive contribution to rising global temperature. However, the sunspots were fewer in number, if we focused on the most recent 60 years (1950–2010), and the decreasing solar activity did not contribute to a cooler Earth. This result indicates that the connection between sunspots and the Earth’s climate is sensitive to the study period. An extreme analysis was performed in an attempt to gain a better understanding of solar impacts. The extreme top 10 composite analysis demonstrated that the surface temperature response to solar activity is spatially different and is highly sensitive to El Niño–Southern Oscillation (ENSO) events. The most sensitive areas in the Pacific sector revealed a significant difference between including and excluding ENSO years. During the solar inactive years, the tropical eastern Pacific was observed as a weak El Niño-like (strong La Niña-like) pattern in the composite including (excluding) ENSO events. Another interesting feature is the strong similarity in the composites which include or exclude ENSO events during the sunspot active years, but it differs from the La Niña-like pattern observed in previous studies. 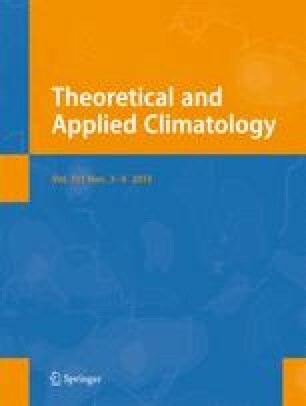 The bottom-up mechanism associated with the response of the surface dynamical circulation and the heat balance when compared to the total solar irradiance forcing partially explains the connection. The Twentieth Century Monthly Reanalysis data were obtained from the NCAR website. The long-term reconstructed surface temperature data set is from the Fifth Coupled Model Intercomparison Project and the solar sunspot numbers were obtained from the National Oceanic and Atmospheric Administration (NOAA)/National Geophysical Data Center website. The authors would like to thank these agencies and research groups for providing the data. This work was supported by the NOAA, National Environmental Satellite, Data and Information Service, and Center for Satellite Applications and Research. The views, opinions, and findings contained in this publication are those of the authors and should not be considered an official NOAA or US Government position, policy, or decision. Scafetta N, West BJ (2006) Reply to comment by J. L. Lean on “Estimated solar contribution to the global surface warming using the ACRIM TSI satellite composite”. Geophys Res Lett 33:L15702. doi: 10.1029/2006GL025668.